Who told you that the best ways to have fun with friends in summer require a lot of money? Sometimes, it takes not much more than a gumption and a creative way of thinking. So, come on, let’s think outside the box and find out how to have as much fun as we can and as cheap as possible, or maybe even absolutely free of charge. Today we will follow the steps and have fun the way different characters did from the movies you must have seen. Or must see, if you haven’t. So, let’s go summer right away together! These three young guys are a brilliant example of how to be young, extraordinary and make the most out of life. It takes not much to unwind (or amuse yourself) the way they did. Living in the 60s, they are obsessed with the movies of that epoch. They know almost all the existing movies by heart, so when the right occasion comes along they behave like the characters and ask each other to guess the film, the year it was released, along with the name of a producer to make the task more challenging. Fond of movies? Then this kind of amusement is right for you. You can use different handy stuff to transform into any character, but your initial purpose is to behave the way he or she does (without actually saying a word, only behavior is crucial). It can be very spontaneous, so that your friends can guess that you are actually picturing somebody only after some time. You can do it everywhere (almost! ), not only at home, but also in public places — on the beach or in transport. People around may have no idea, that you are playing a game. But better choose the movies you have watched together, or those who can be familiar to all the participants. ”The Dreamers” actually did one astonishing thing just like the characters of one old film and cracked their record — ran through the Louvre 16 seconds earlier than their inspirations. Challenging, yeah? Extremely tempting? No doubts! Are you in Paris, France? No? Then it’s for the better! 2. Do it like the Great Gatsby, do it even greater! Can you imagine a better opportunity to have a jam with your friends, than in summer? Summer parties (preferably on the beach) with a lot of dancing to loud music, contests, new acquaintances… Something lacks? Of course – a mascaraed! Costumes and different images, what can make the party more interesting? Buy something new? There’s no need to. Clean out your closet and you are sure to find something to wear as your evening dress or costume and have a great time. 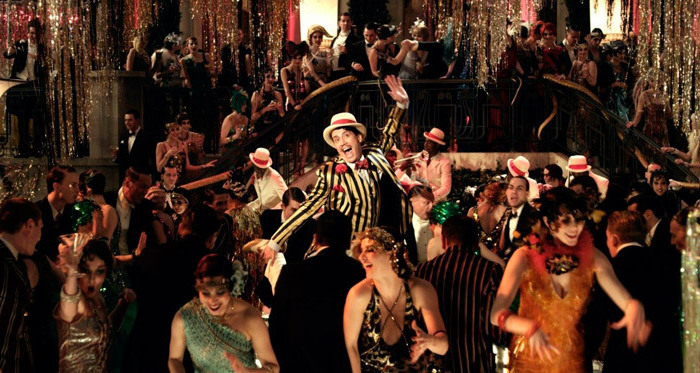 Have even greater time than the characters in the Great Gatsby, because it’s not about your guise at all. People that you spend your time with are of greater importance. It may be even a pajamas party, either way it will be funny, interesting and extraordinary. Confess, you did want to do something of Ameli’s stuff, while watching ‘Le Fabuleux destin d’Amélie Poulain’. Definitely, you did! Don’t even try to deny it. What if you try to make the similar things in your real life and play a fairy godmother just like she did in this fictional story? A well-known consistent pattern says ‘as you sow, so shall you reap’. Good deeds will always find a way to come back to you in return from somebody else. So it’s not only a kind of amusement in your summer day, but creating good karma, in case you believe in it, of course. To follow Ameli’s example you can print or write down different joyful notes, affirmations or predictions on the little papers and share them with people in a way you’d like. But keep within the limits of a game – do everything invisibly. You can slip it under the door like an envelope with the utter ‘Soon, you will have some miracles in your life. Your Angel’, or something. Just imagine how people will cheer up, reading this. 99% that you personally wanted to get similar unexpected message from somebody else. Or even 100%? When was the last time you did something interesting, that you’ve never done before? Remember how Driss started painting in the ”Intouchables”, though he had never held a brush in his arms? It doesn’t matter that you weren’t born Salvador Dali, you have a right to try painting and do it in your own way — how you see it and feel it. Invite your friends and do your masterpieces together. You can, for instance, paint each other’s portraits. Probably, there is somebody among your friends who has paints, paint brushes and paper for sure. If not, it won’t cost too much to buy all this stuff for several people. To reduce your expenditures you can exclude brushes and paint with the help of your fingers only, namely finger tips. It will be even funnier. Moreover, after your ‘chefd’oeuvres’ are ready you can sign them and gift each other as keepsakes. You will have all in one — enjoyable activity, amusement and presents. Though you can be still in your teens, it means that you could have forgotten how easy and happy-go-lucky it is to be a child by doing some funny things. Grab an idea from ‘The Notebook’, where Allie dives into the water with a rope swing. Have you done it earlier in your childhood? Even if you didn’t, there’s a great opportunity to try. Take your friends to the river or a lake. Find a tree on the slope of it, tie up a rope (possibly with a bough or any other similar and usable thing) and accelerate ahead. Woohoo! Good job! Do you feel happy? Go ahead, one more time! Are you ready to turn your fun on at full speed this summer? Go along with these ideas, or share with us your brilliant and cheap ways we can try this summer.